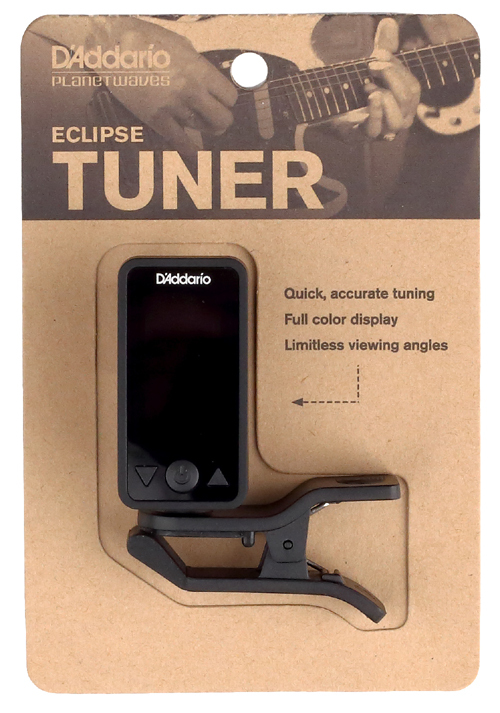 The Eclipse chromatic clip-on tuner offers fast, accurate chromatic tuning on and off the stage. 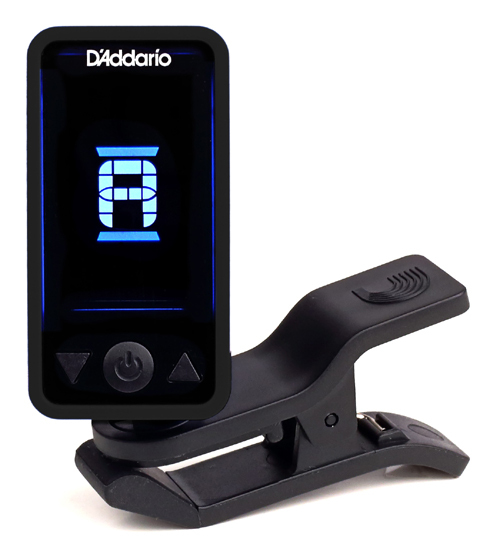 The tuner features a full color vertical display, auto power-off, and pitch calibration in a discreet, compact design. 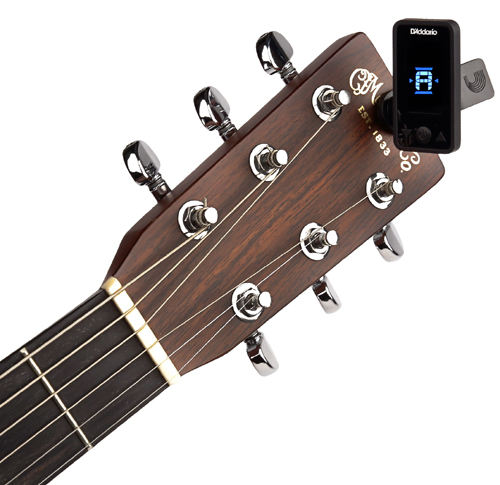 The multi-swivel action allows for the perfect viewing angle and can be mounted in front of or behind the headstock on right- and left-handed instruments. CR2032 battery included. Love the display...easy to see...bought one for myself and one as a gift.